Hectic activity in County Hall, very close to the UK Houses of Parliament in Westminster. People from all nations are gathered together in small groups, debating each other with great interest. I am at the “Family Planning 2020” (FP2020) family planning conference. International representatives from governments, organisations and the private sector are meeting to discuss the rights of girls and women, especially in low- and middle-income countries. These girls should be free to decide whether, when, and how many children they want. This is exactly what DSW has been working towards for more than 25 years. And that is why, as DSW’s Executive Director, I am in London for the FP2020 conference. This year’s meeting is a kind of interim update. In 2012, the international community met for the first time and set themselves the goal of enabling a further 120 million girls and women access to contraception by 2020. Currently, 214 million women in low- and middle-income countries cannot access contraceptive methods, but would like to. This illustrates clearly the need for family planning. What strikes me: when talking about family planning, women often speak “only”. But what about the many girls and young women who need more access to education and prevention? Especially as the demand will continue to grow, as almost a third of the population in low- and middle-income countries is less than 15 years old. And what about boys and men? Contraception and family planning affects both partners. First, we should make it clear that adolescents have different needs to adults when it comes to education and family planning. And I am quite conscious of the two terms “Enlightenment and Prevention”, because there is hardly a young person out there that “plans” a family at a very young age. 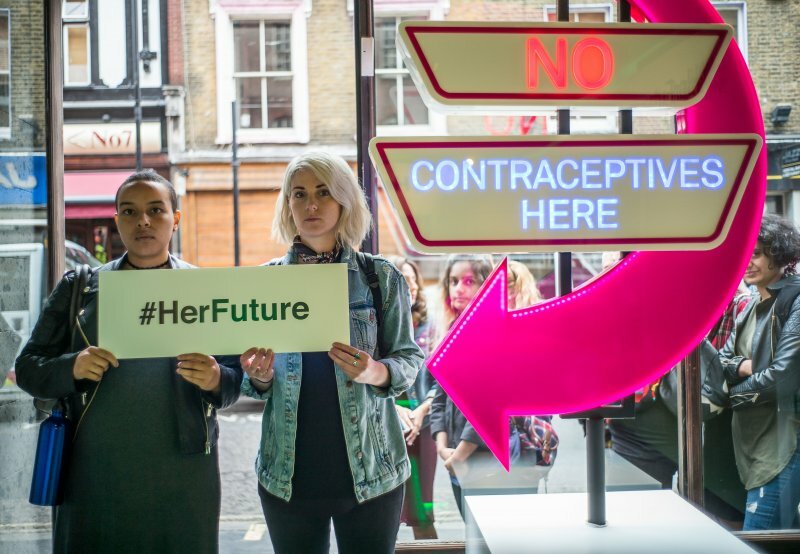 Young people need other means of contraception and, above all, a wide range of services. As they often change their sexual partners, they should also be able to protect themselves from being infected with HIV or other sexually transmitted diseases. In addition, young people are concerned about their bodies and the changes they go through during puberty, they want to know why contraception is so important, and they want to know about issues of sexuality and consent. Unfortunately, the first sexual experiences of girls and young women often take place under duress and violence, as a recent study by the Guttmacher Institute has shown. That is why in our work we also speak of sexual and reproductive health and rights. Again such a complicated concept, that is fundamental to basic human rights. FP2020: Let girls and young women decide! In low- and middle-income countries, two-thirds of girls and young women cannot access contraception. What’s more, almost half of all pregnancies in this age group are unwanted. Girls and young women also suffer the greatest health, social and financial consequences of unintended pregnancies and a lack of access to family planning services. Unintentionally pregnant, many girls and young have only abortion as an option before them. If this is not legally available where they live, or the health care system is insufficient, these girls and young women risk their lives with an unsafe and at-times illegal abortion. The body of a young, pregnant woman is often not yet ready for birth, which can lead to serious birth injuries, which in turn can mean social exclusion for these women. Pregnancy and the birth of their child itself throws up obstacles in the paths of the girls and young women, complicating the choices they want to be able to make about their life. In Tanzania, for example, schoolgirls are not allowed to return to state schools after a pregnancy. However, even in countries where this is permitted, many are leaving school after a pregnancy. This means that they have poorer opportunities on the labour market, financial dependency and lower decision-making possibilities. 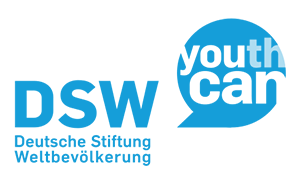 I sincerely hope that the German government will finally take a step in the right direction and invest more in the education and prevention of young people. The question of why young people should be the focus of these issues is obvious when looking at the current population development. Women in Africa still have the most children in the world. More than they really wish. As a result, the local population is becoming increasingly younger and the need for education and prevention is increasing. It is now time to set the right course and to strengthen girls and young women. My appeal to the political decision-makers and donors is therefore: let the girls and young women decide about their lives and their bodies themselves. Find out more about the FP2020 conference here.